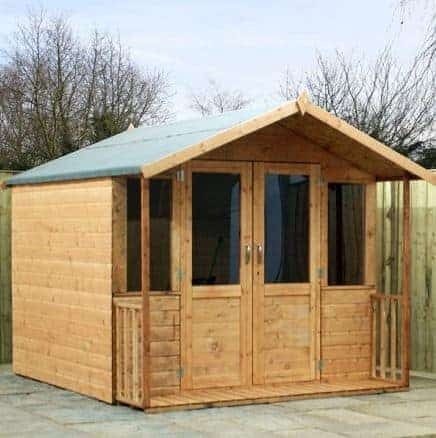 Sheet flooring that makes for a sturdier building is just one of the features that makes this traditional 9’ x 7’ summerhouse such a great part of your garden. 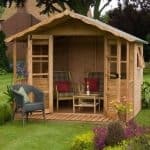 You also have a building that brings 12 mm cladding in shiplap, so there is added protection against rot and wear and tear. 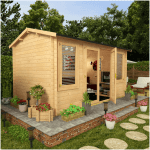 The construction also has double doors that can be locked, and special styrene glazed windows that make for more light and added security. 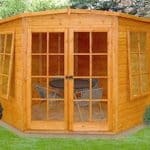 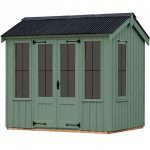 The summerhouse comes with a 10-year anti-rot guarantee for extra peace of mind.